Welcome to the Dive Master Online Affiliate Scheme. 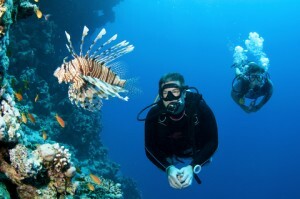 Dive Master Affiliates earn 5% commission on every insurance product purchased by your clients through a web link on your site to Dive Master’s site. Not only that, but you continue to receive the 5% commission each year the client renews. We provide you with posters and promotional materials. So register now and accept our Online Affiliate Terms of Business Agreement (TOBA). Once signed up, will assess your application and provide you with the required banner links and promotional material after which your company can act as an introducer of Dive Master Insurance Products to your customers and earn commission on each sale. Existing Affiliate Scheme members please click here to log in.